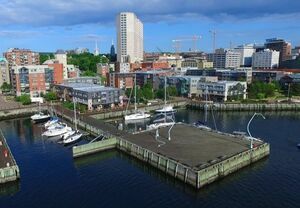 239 1477 Lower Water Street, Halifax (MLS® 201824450): Breathtaking Bishop's! 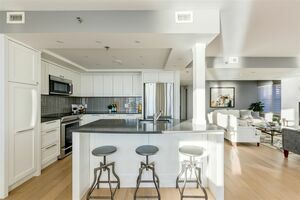 Newly priced one of a kind at Bishop’s Landing with the largest interior space of any unit at this award winning waterfront complex. 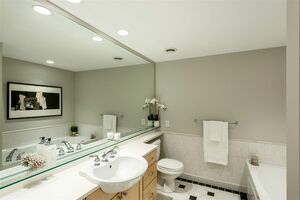 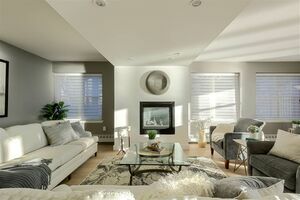 Gorgeous light, expansive living spaces & a serene Master bedroom suite. 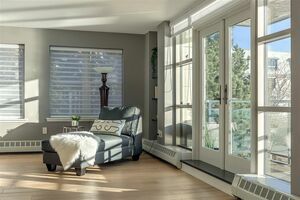 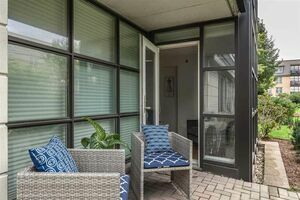 The only unit at Bishop’s where you have 2 outdoor living spaces! 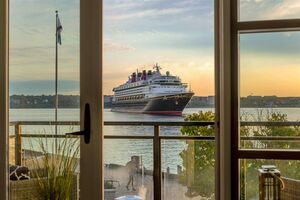 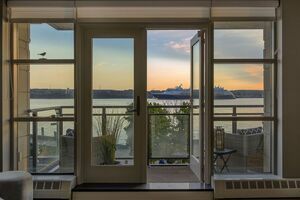 Your own private walk out terrace among the trees in the manicured Gardens - perfect for relaxing or taking a dip in the pool or outdoor hot tub - but also, a private double balcony on top of the Boardwalk w/ incredible Harbour front views to the South & East! 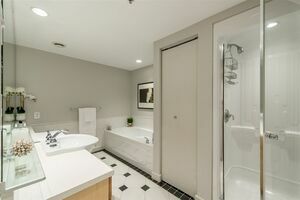 Unique to this unit are 2 gas fireplaces in the living & master areas and extra-large closets for that needed storage when moving to condo living. 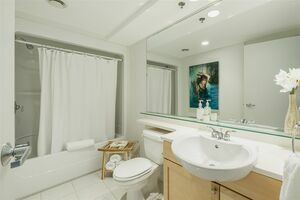 Walking distance to all of what downtown has to offer - restaurants, art galleries, museums, farmers markets & more. 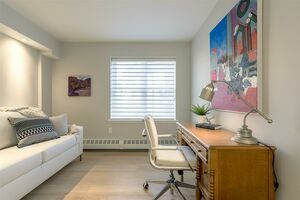 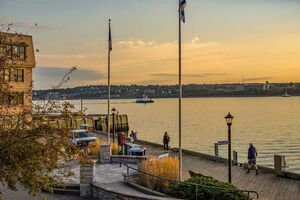 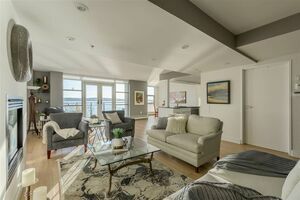 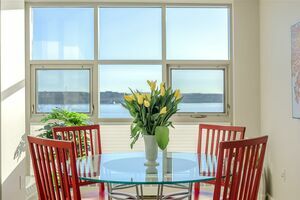 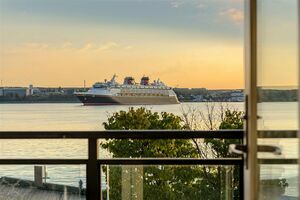 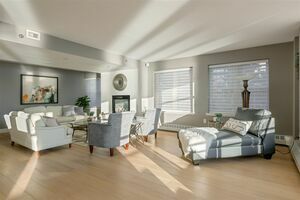 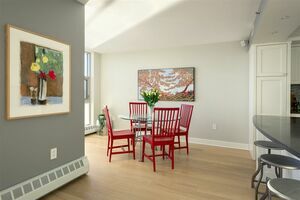 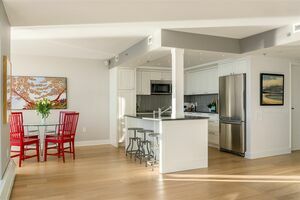 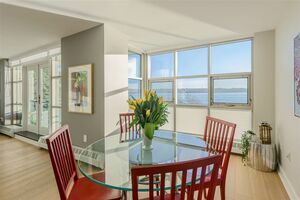 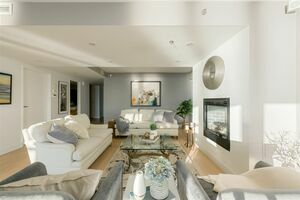 This condo boasts Halifax’s premiere 24hr Concierge services, lovely neighbours & first class living in over 1500 sqft of air-conditioned comfort. 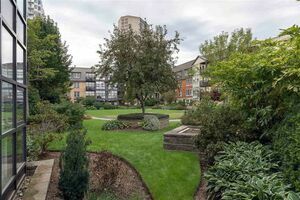 Condo fees inc; heat, h/w, 2 underground parking, extra storage, concierge, pool, gym & maintenance of building/landscaping. 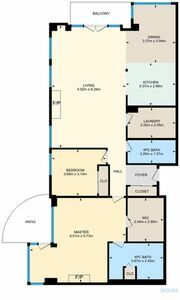 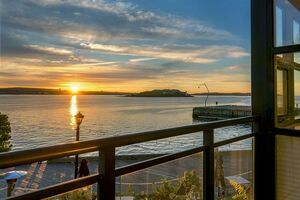 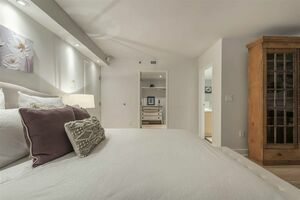 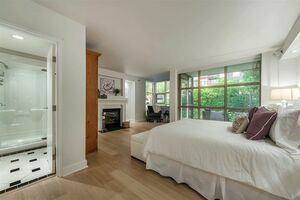 This is a MUST SEE condo in downtown Halifax. 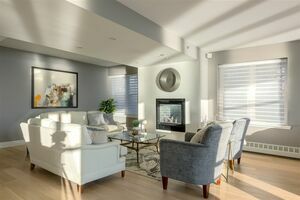 Bishop’s Landing - Never Before, Never Again and ready for you to call home. 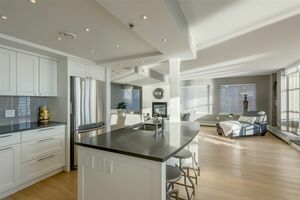 Contact listing agent today for your private tour of this spectacular condo and Bishop's Landing.